Since it’s my 35th birthday today I’m going to post this guitar even though it’s not 100% ready yet, it was my birthday present to myself. As I mentioned earlier I recently became the proud owner of a 1973 K. Yairi YW-1000. It’s something I’ve dreamed of for many years and after a bit of hassle it finally arrived. The previous owner didn’t really give much of a description so I wasn’t really sure what to expect. Luckily it sounds at least as good as I had hoped for, if not better and it’s structurally fine. Having said that, there were a couple of things that I wasn’t overly excited about, like the bridge and the scratches on the top. I don’t mind worn guitar but there is one big scratch that is still a real eyesore for me, I’m sure I will get used to it and not even see it in a few weeks. The bridge is a chapter for itself, I really don’t know what has been going on there. It has been removed at some point and re-glued, it also has two screws that I doubt were supposed to be there and on top of that someone has added a bit of rosewood to make it higher and topped it of with a fret as the saddle instead of a normal slot and bone saddle. As soon as the wood shops open again here in Barcelona, a lot of shops are closed in August, I will get a piece of ebony and create a new bridge from scratch. Since I couldn’t wait a whole month to play the guitar I lowered the bridge and cut a saddle slot and installed a bone saddle for now, which has worked fine. It’s a beautiful guitar, it’s smells wonder full and sounds even better. This is my third K. Yairi and I have to say that it’s without any doubt the best Japanese acoustics I’ve played so far. I really love my K. Yairi YW-130 and K. Yairi TG-40 but nothing sounds as good as this K. Yairi YW-1000. It’s worn and has few scratches but nothing too serious, except for the bridge as mentioned before. I changed the machine heads to Wilkinson WJ28NGD open gear in gold, the original ones were in gold too but most of it had worn off and on top of that they were really heavy. I love all the abalone binding and the hexagon inlays in the ebony fretboard. I’m so gay for bling on guitars, the more the better, perhaps I’m the Liberace of guitars. As soon as I got the guitar I removed the fret, lowered the bridge by sanding it down and then I cut a proper saddle slot. Apparently the top of the bridge is rosewood on an ebony base so I had to paint the top black to match the rest. The bridge works fine but I’m not happy with how it looks so I will try my best to carve a new one in ebony and replace it. The fist video is with the old makeshift rosewood bridge that the guitar came with, the second video is with the new ebony bridge that I carved myself from scratch, you can read about it here. I did it, finally I found myself a K. Yairi YW-1000. This has been a goal of mine for years, or at least since October 2013. You never see them for sale in Europe and to buy one from the US or Japan would set you back at least $1500-2000 plus import taxes and the risk that it gets confiscated in customs, some countries are really picky about Brazilian rosewood crossing their boarders. This K. Yairi YW-1000 was made in the 48th year of Emperor Shōwa, meaning 1973, I love the Emperor based serial numbers. I will write a lot more about this guitar when I got it all set up, I need to re-glue the bridge first. 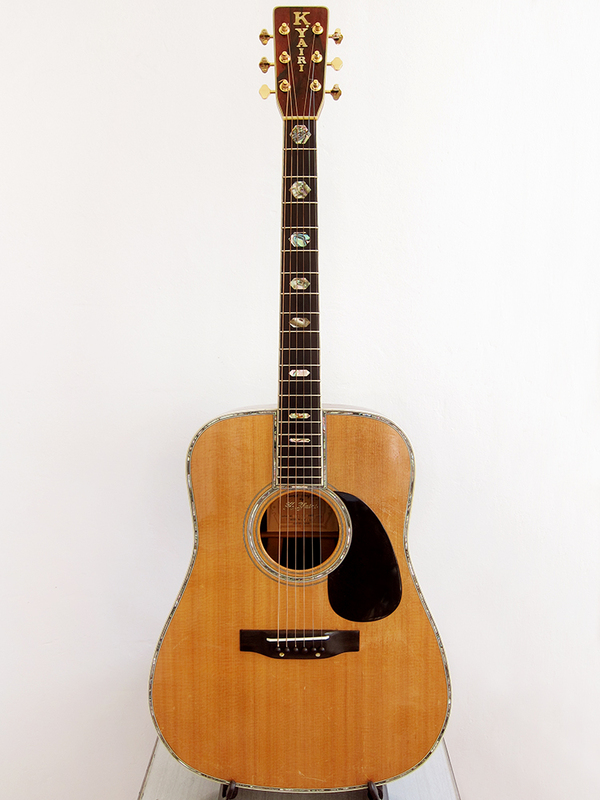 I recently came over a 1977 K. Yairi YW-130, a beautiful Martin D-28 copy. I’ve been looking for a D-28 copy for a while, just out of curiosity to see the difference between the D-35 and D-42 copies that I have. The Morris W-40 and Morris W-50 both have a 3-part back which gives them a lot of bass and punch in the middle so perhaps a Japanese made D-28 copy would be more bell like and balanced, like a real Martin, and I was right. The K. Yairi YW-130 sounds amazing, really clean and even all over, with awesome overtones that sneaks up on you if you let it ring out. 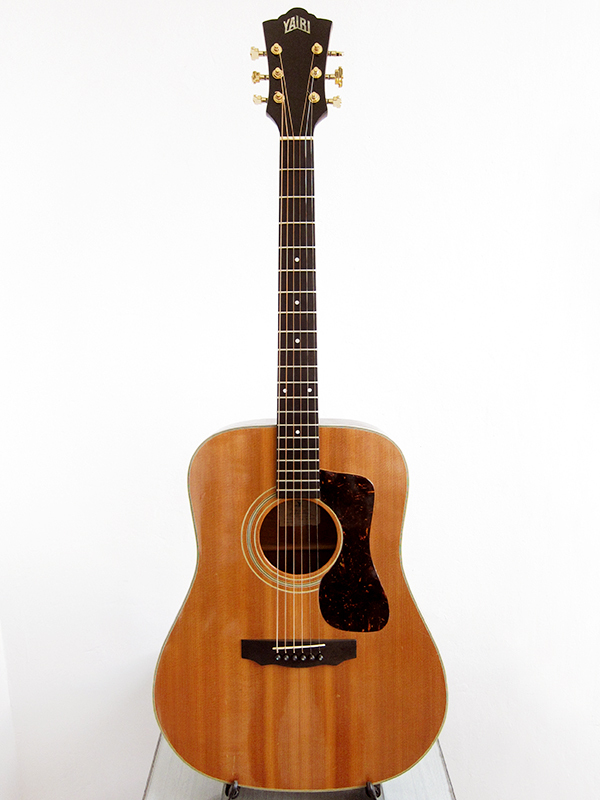 It has a solid spruce top, rosewood back and sides with a simple ebony bridge and fretboard. I do love my Morris guitars and I think it’s a great brand, but nothing comes close to K. Yairi. The old K.Yairi TG-40 that I got a year a go is awesome too, but I think I prefer the sound of the new one. Perhaps my acoustic guitar preferences has slightly shifted from the Gibson sound to Martin. I didn’t have to do anything to the guitar when I got it, I just changed the machine heads to Wilkinson WJ28NGD open gear in gold which I love. 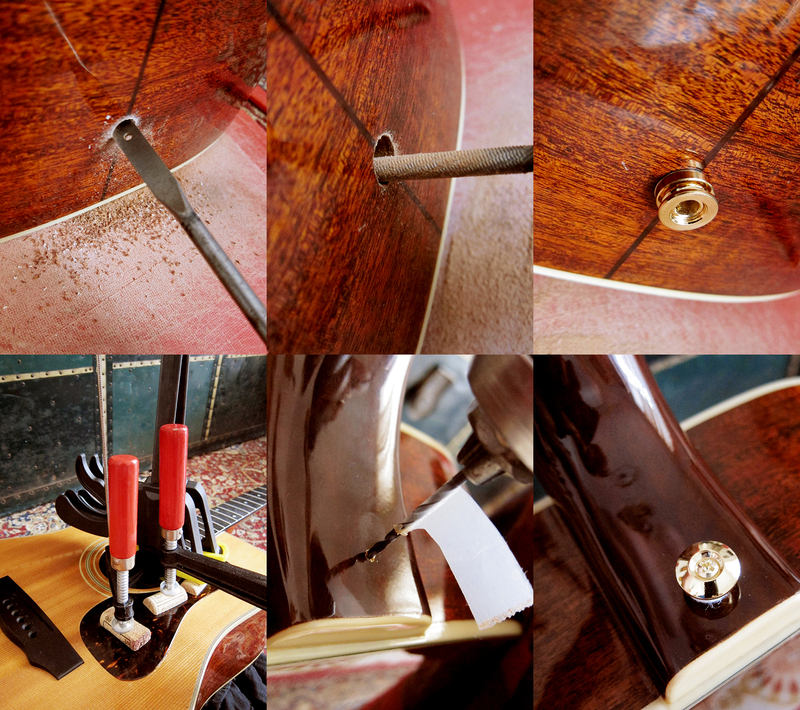 It’s a bit worn and have a few dents in the spruce top that I’m planning to figure out how to soften a bit. 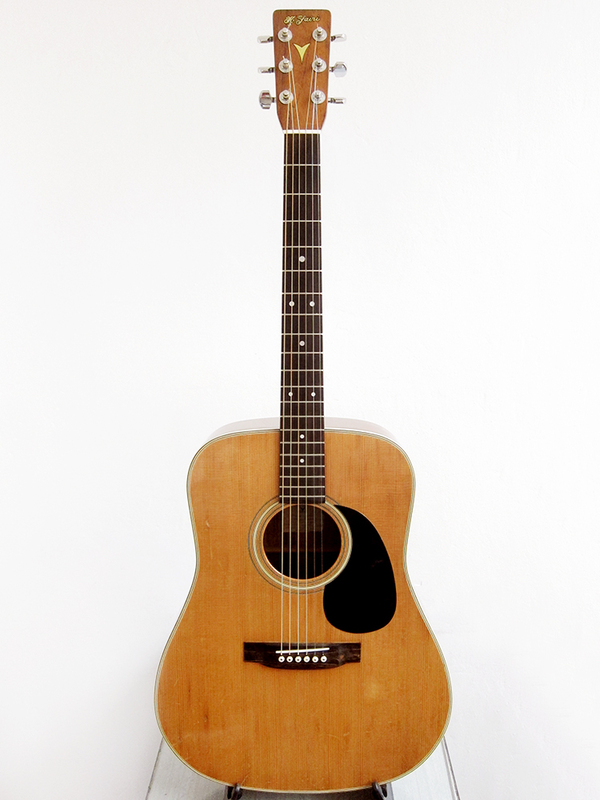 I’ve really come to love guitars with the typical Martin volute, just like my Morris W-50, and the double dots on the 7th fret, it’s just beautiful. 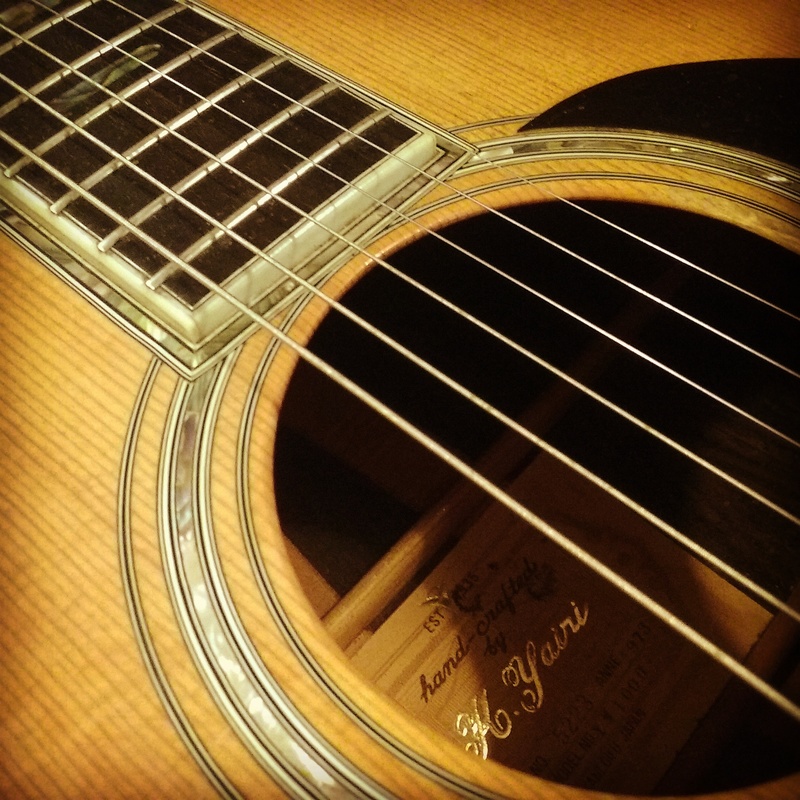 There is nothing better than a black Ebony fretboard on an acoustic guitar. I thought ebony was like rosewood until I got my Goya T-18 two years ago and it just blow my mind, there is no nicer fretboard material. 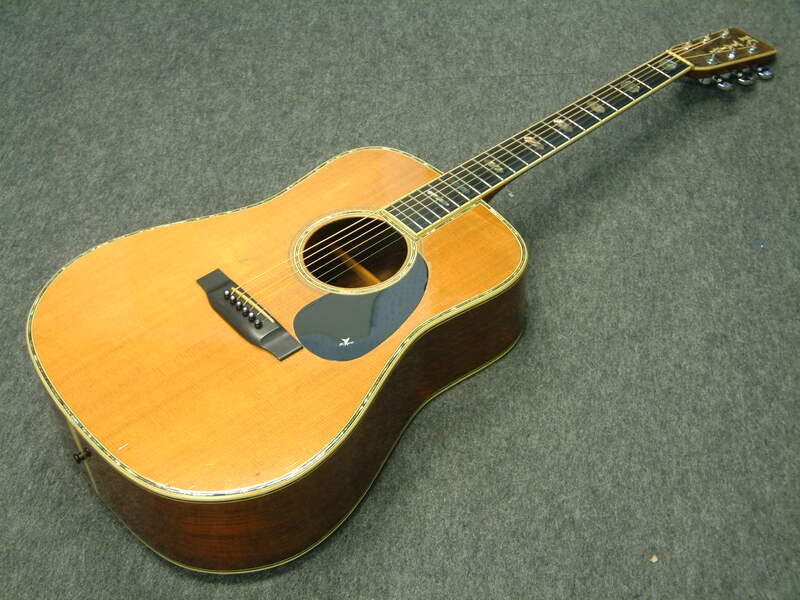 K.Yairi TG-40 a Guild D-40 copy from 1977. Every K.Yairi guitar is given birth in Kani, a small community in the beautiful mountainside area of Honshu, Japan. My new K.Yairi TG-40 has finally arrived, after 40 days stuck in Spanish customs. I have mentioned earlier that it’s a lot easier to import things from Japan to Spain compared to buying things from the US, well that was a lie. I have bought three electric guitars, mainly Greco’s from an eBay seller called Tokyowax. They all arrived within 48 hours so I stupidly assumed that everything from Japan would arrive quickly and without any problems, but no. Tokyowax uses DHL Express and they tend to deliver things within 2-5 days and you pay the taxes straight to them when they deliver the guitar. It wasn’t that easy with EMS Japan, that package went straight to customs in Madrid and spent 40 days in their lazy company. How can anything take that long? K. Yairi could probably have built me a new guitar in that time, if he was still alive. It seems like the only option now when buying guitars on eBay is to use the Global Shipping Program, that worked for my Goya 163 at least. Anyway, the guitar is amazing so it was well worth waiting for. I didn’t have to do much to it, it was ready to play when I got it. However, the pickguard was loose so I had to remove that, clean it up and then glue it back again with my trusty fish glue. 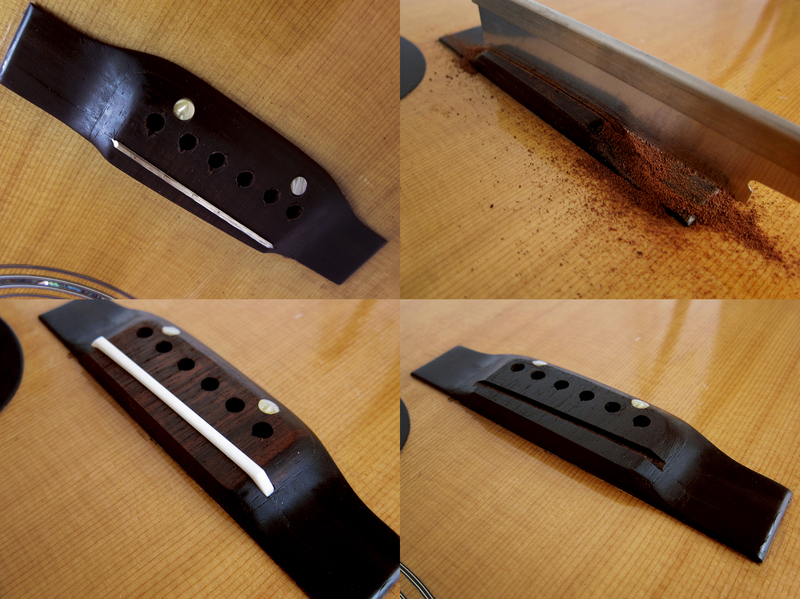 When the strings was off I quickly polished the frets and oiled the ebony fretboard. I also installed a jack for my LR Baggs M1 and a strap button. I bought this K.Yairi TG-40 from a really nice eBay seller called montebell86 who was a pleasure to deal with. The guitar was listed as “Taniguchi Gakki” Japanese guitar shop original model, very rare. Solid spruce top, sides and back in solid mahogany, neck in Honduras mahogany, bridge and Fretboard in black ebony. The label states it was made in 1977 but the serial number starts with 51 which was the 51st year of Emperor Shōwa and puts it to 1976. Here is a quick little comparison between the K.Yairi TG-40 and my Morris W-40, they sound pretty similar and I don’t think I would be able to tell them apart in a blind test. Well the Morris has a bit more bass and is a slightly weaker on the treble side, I feel that the Yairi is more even over all the strings. 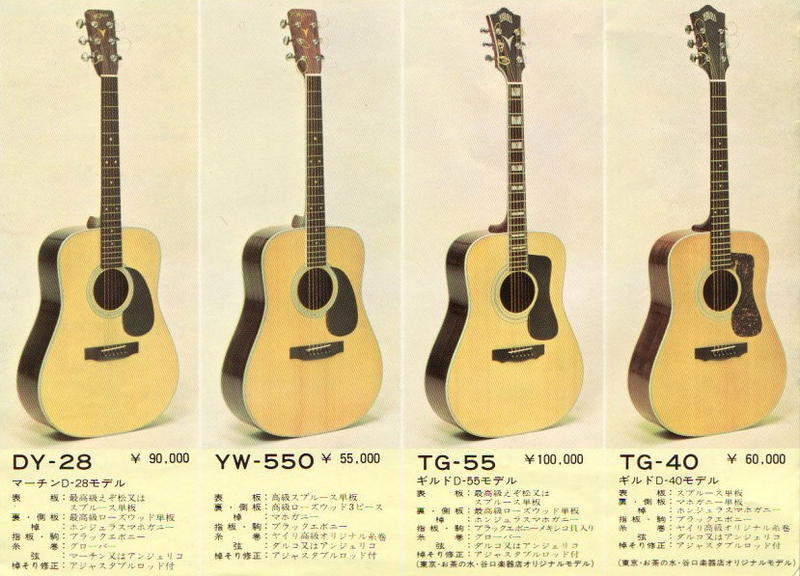 K.Yairi TG-40in the Japanese catalogue from the late 1970′s. List price ¥60.000, around 420€, which must have been a fortune back in 1977. Then again, this was a fairly cheap guitar for being K Yairi, the top model cost ¥200.000, about 1400€. I’m extremely happy with the two Morris I have and think that Terada is one of the better acoustic guitar builders in Japan. Having said that, I think everyone that is in to Japanese acoustics dream of owning a K. Yairi, at least I do. Unfortunately they are a bit too expensive for me, I’m sure they are worth it but you can get an old Martin, Gibson or Guild for that money. 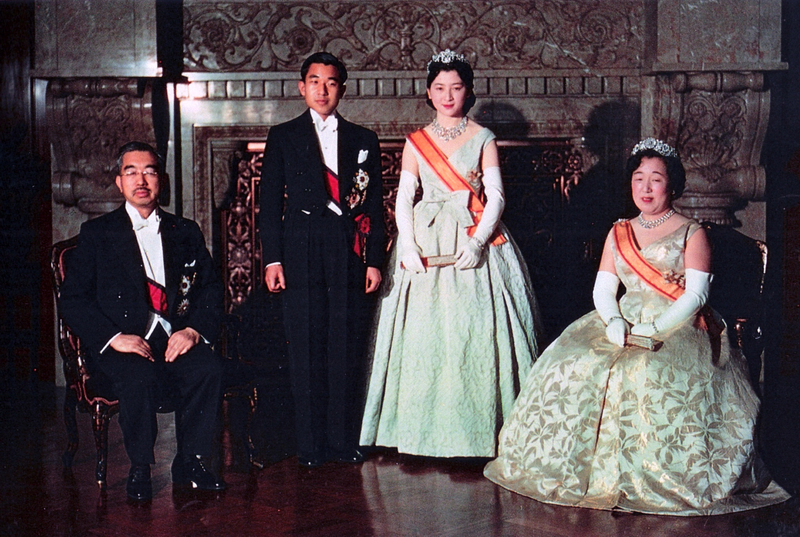 One thing that I really like with Yairi is that they use the year of the Emperor of Japan to determine the production year of their instruments, how awesome is that. See the list below. When was my Yairi made?